Nestled amidst the spectacularly splendid Himalayan chain, Spiti is a peacefully attractive part of Himachal Pradesh. It is relatively less visited, and one of the least populated areas of the country, and this makes it untouched by the evils of pollution. This pristine piece of land is sheathed with snow most of time and therefore, it is the most preferred place of the elusive snow leopards to stay in peace. Apart from the freezing-high temp (can be as less as -30c), the subliming serenity entrenched in every part of this area make this place more loved by this elusive creature. Ready to book air tickets to the nearest airport to Spiti? The indigo blue of the sky speckled with feathered strips of clouds contrast intensely with the brown tones of the striking gorge. Spiti River gives away vivid greens and gleaming blues from its icy depths, and the ice formations all around the area spellbound you with their beauty. Hike through the snow leopard trails while bracing the serenity trenched in the air, and who knows, you might get to see the thick white/grey coated animal, quietly camouflaging in the ravines and cliffs. With only 250 Days of Sunshine in a year, Spiti sparkles with joy whole year long because of its embedded beauty. The inhabitants of this area are simple yet spirited individuals who exactly know how to beat the odds. They not only handle the harsh climatic conditions without modern gadgets, but also follow the basic principles of sharing and caring. Interaction with them will let you get closer to this place and the culture. All geared up book air tickets to the nearest airport to Spiti? Several domestic flights also connect with various states. Track the Snow Leopards in Spiti! Spiti, less-visited neighbor of Ladakh, is a cold mountain desert aboding the mysterious furry creatures, Snow Leopards. From glittering snow-sheathed Himalayan peaks to dreamlike hamlets, there’s a lot to see and experience in Spiti. It hosts a cluster of whitewashed mud-brick homes huddled amidst green barley fields below monasteries sited on crags a thousand feet above. The turquoise-grey strip of the Spiti River is a near-constant companion, streaming along a relatively broad valley. 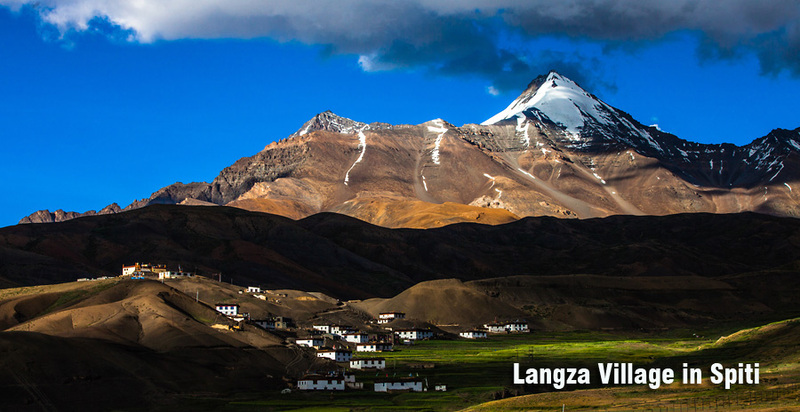 Travelers who wish to drift away from the crowd of Ladakh prefer to hike in Spiti. The soothing aura of the place wins over the harsh weather, making it extremely attractive to the serenity seekers. This place has got all the right ingredients of being a soul-stirrer! Hike through the Snow Leopard trails with the intention of catching a glimpse of ‘The Grey Ghost’ of the Himalayas, and who knows, you might end up spotting one resting in his abode. If you’re looking for family fun come july 1st, you needn’t look any more compared to the nearest body of water. Kayaking has gotten the continent by storm and opened doors to outdoor fun who have never been open before. Kayaking is really a safe, fun, outdoor activity your entire family can participate in with little risk or investment. And, additionally, you can now kayak.